This is a huge building with landmarks that are of sand colored. 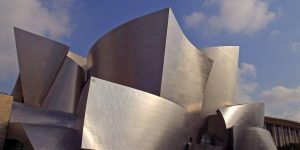 The building also proves itself to be different from others by its roof which is of the form of waves. The culture center and the art museum are just near to the Star Ferry Terminus in Kowloon. When we talk about the interiors the designs are fabulous and mind blowing. As there is no window no natural light comes inside the building but still one will be delighted to find the building spacious and airy. It has proved itself as a great venue. The center has a high quality arts library. The center contains the Hong Kong Art Museum. This building encloses a fine collection of scrolls, antiques, calligraphy and Chinese art. With these fine and distinct collection this place becomes the hot favorite of the visitors and the reason of curiosity for the art lovers. The opening hours are from Monday to Saturday 10 am – 6 pm and on Sundays it is 1 pm to 4 pm. For other holidays it is same as on Sundays. The cultural center and the art museum are usually closed on Thursday. The cost that falls to visit this marvelous place is HK$10 for adults and for concessions it is HK$5. The cost here is quite affordable and does not trouble your pocket. This means you can get a great deal of pleasure and knowledge in this place. The holidays should have the memories that are ever lasting and unforgettable and this Cultural center and art museum will help you to get the glimpse of the culture and lifestyle in Hong Kong. You will surely feel good to visit this art museum and cultural center. Dubai is known as the pearl of the world. As the pearl is precious and is the point of attraction for all, the same can be said for Dubai. Planning a holiday in Dubai can be expensive but the pleasures and fun you get from the luxurious lifestyle prevailing in this marvelous place is rarely found anywhere else. There are many places of attraction in Dubai but if you are a jewellery lover the most fascinating one will be the Gold and Diamond Park Museum. So if you are on the holiday with your better half this could be the most desired place that could be the best evidence for showing the outstanding collection of fine jewels, Gold and diamonds. The Gold and Diamond museum is situated in the heart of Dubai. 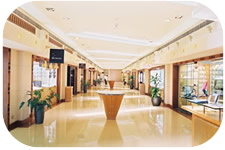 The Gold and Diamond Park museum is a specialty mall with unrivalled collection of round about 90 top leading retailers with their finest products. So, if you have your life partner along with you on this trip don’t forget to take her to this fascinating place. This museum is located on Sheikh Zayed Road. It is Dubai’s chief destination for diamond and gold jewellery. This specialty mall was established in year 2001 and has earned a trustworthy reputation with respect to the quality and prices available here. It is truly said that the quality and designs they provide is really unmatched and superior from the others. Even if the customers have their own designs they provide world class skill to engrave those in reality. The Gold and diamond park museum has recently undergone a major expansion. Finally the new expanded specialty mall consists of 118 manufacturing blocks, 90 retailers and a wide space for 350 offices for commercial purpose. To provide an enjoyable shopping experience there is the collection of restaurants and cafes. A 24 hours and 7 day operation freedom takes away the tension of the timings to visit the mall. The gold and diamond park museum gives you a chance to get in touch with the most precious jewels in the world. It will surely be the favorites of the ladies who love elegance and class. You may get the best gift for your better half in this astonishing place and make her feel that she is truly as precious and unique as these jewels are.